Antonio Stradivari Cremona, 1691 "Francesca Ginn"
The history of the 1691 Stradivari violin is traceable to 1855 when it was purchased from the French dealer Maucotel by Viscount de Jorey, an amateur violinist in Paris. The violin was inherited by his daughter, the Countess Bouthillier who sold it in 1893 to William E. Hill and Sons. In October 1894, with an introduction from Joseph Joachim, Marguerita Francesca Ginn and her husband traveled to London and purchased the violin from Hill. Francesca had married the Boston publishing magnate Edwin Ginn the previous year. She greatly influenced her husband’s involvement in social causes ultimately leading to his creating the World Peace Foundation. Francesca hosted regular musical events at their mansion inviting members of the Boston Symphony Orchestra to play, and her instrument collection included an Andrea Amati viola and the 1684 “Visconti” Stradivari cello. 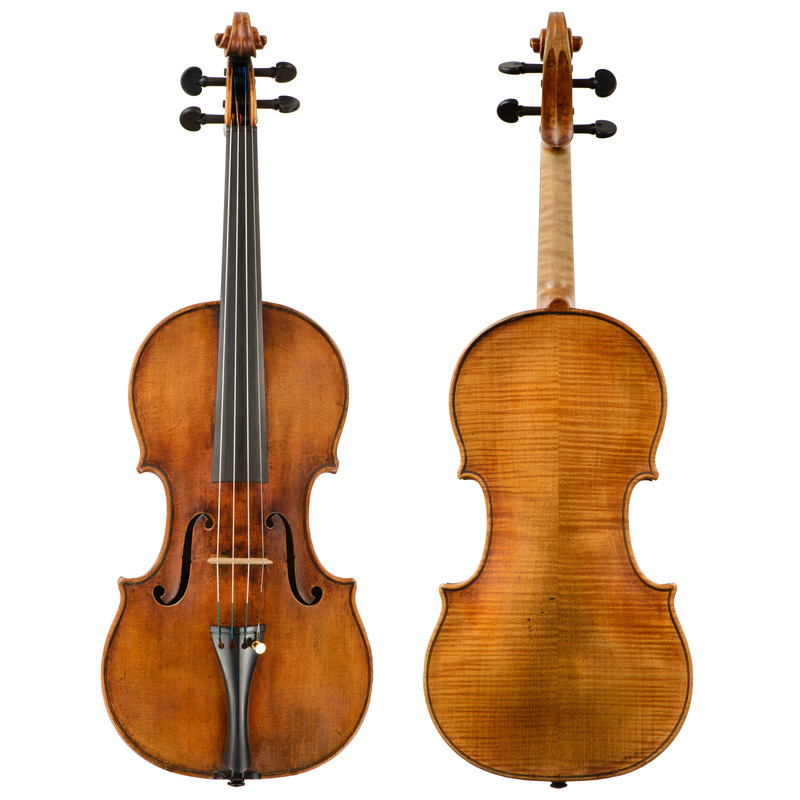 The Hills referenced this 1691 violin in their monumental publication of 1902 “Antonio Stradivari, his Life and Work (1644-1737)”. The violin remained with the Ginn family for over half a century. In 1947 Ernest Doring wrote as a supplement to his 1945 publication “How Many Strads?” that the violin had been recently acquired by the firm of William Lewis & Son in Chicago. The violin was then purchased by Roger Chittolini (1881-1959), an ardent collector in New York. He owned several fine examples of Stradivari, Guarneri and Bergonzi and provided many instruments to the Wurlitzer firm. In February 1957 he consigned the violin to Rembert Wurlitzer who sold it later that year to an amateur, Henry Wensink of Comstock Park, Michigan. The violin remained with the Wensink family until it was sold in 1979 by Bradley Taylor in Boston. The new owner, Marylou Speaker, who had recently been appointed Principal Second Violin of the Boston Symphony Orchestra, played the violin for 30 years.